This may seem like a simple verse in the middle of a passage telling about the day of the LORD’S vengeance in Isaiah 34:8-17. That is the “simple” explanation of what the verses are about. It becomes interesting when you compare these verses, again using e-Sword, as to which birds are being referenced. I like the quote about the “mysterious birds” because the translators are not even for sure which birds they are that are going to be inhabiting the place. Let’s investigate the verses. What caught my interest in this verse was that the Crow came up in a search for possibly some different Birds of the Bible to write about. Not only did I find the Crow, but also Ibises, which we see plenty of in this area. I always find it amazing how much they differ, but yet if you look at the birds and their families, many are related or closely related. Most of the second half of the quotes mention the “Owl and the Raven.” The Darby uses “Great Owl”, the LITV uses “Eared Owl” and some use “owls.” No problem there. Some though use “Ibis/Ibises or Bittern” (APB, BBE, Brenton, DRB) instead of the “Owl.” The word “yanshûph or yanshôph” H3244- “an unclean (aquatic) bird; probably the heron (perhaps from its blowing cry, or because the night heron is meant (compare H5399)): – (great) owl.” Apparently the word is unclear and could go either way. 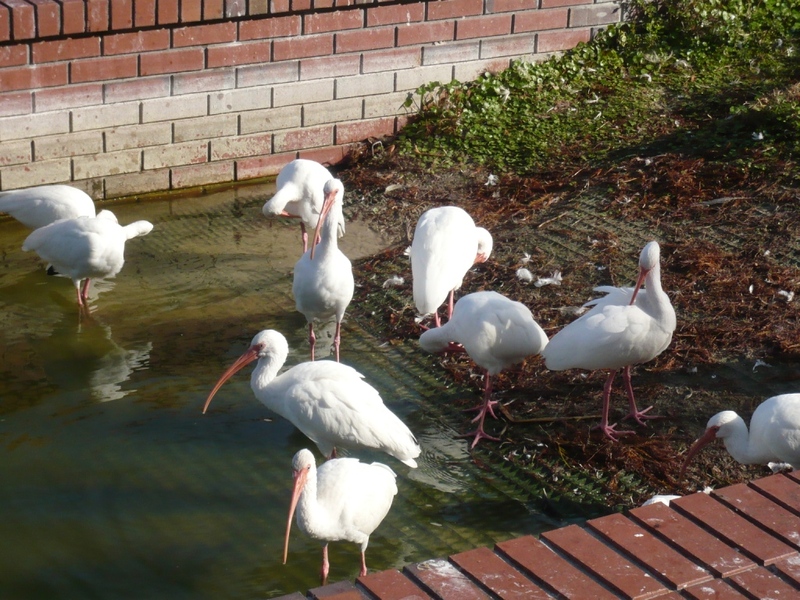 Also, the Ibis is in the Threskiornithidae – Ibises, Spoonbills Family and the Bitterns and Herons (GW) are in the Ardeidae Family, both of which are in the same Pelecaniformes Order. So they are close relatives. Also the Pelican and the Cormorant are mentioned in the first part of the verses. It is easy to figure out which Order the Pelican belongs to and it is in the Pelecanidae – Pelicans Family. The Cormorant is in the next Order which leaves it nearly related. 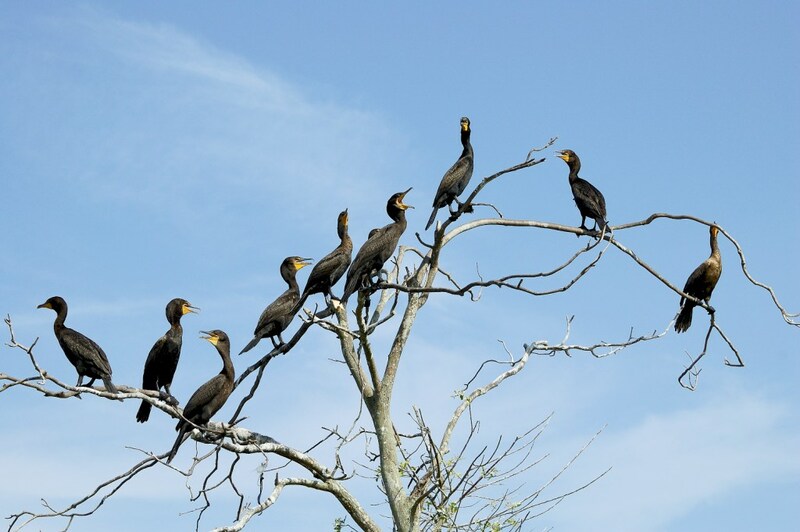 The Suliformes Order has the Phalacrocoracidae – Cormorants, shags Family. As a note in passing, up until this year, the Cormorant was in the Pelecainformes Order. Not trying to be too detailed, but just showing that even though the translators used different birds, many are related and it doesn’t change my confidence in God’s Word. He promised to preserve it. Another point to consider, since I am again working on the newest update to the I.O.C. list of Bird Names (Ver. 2.9), names change and the names we use today, were probably already changed once or twice and the ones we use today will probably be changed down the line. I still say, Adam had it a lot easier than what these organizations do today to keep the names figured out. They are to be commended for all the hard work they do. Back to our verse. The Crow and the Raven are interchanged in these translations. 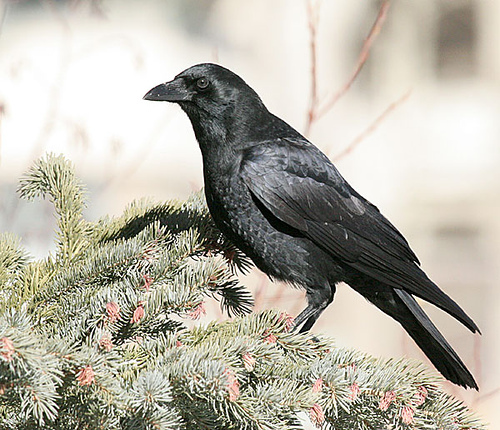 Again, they are in the same family, the Corvidae Family. 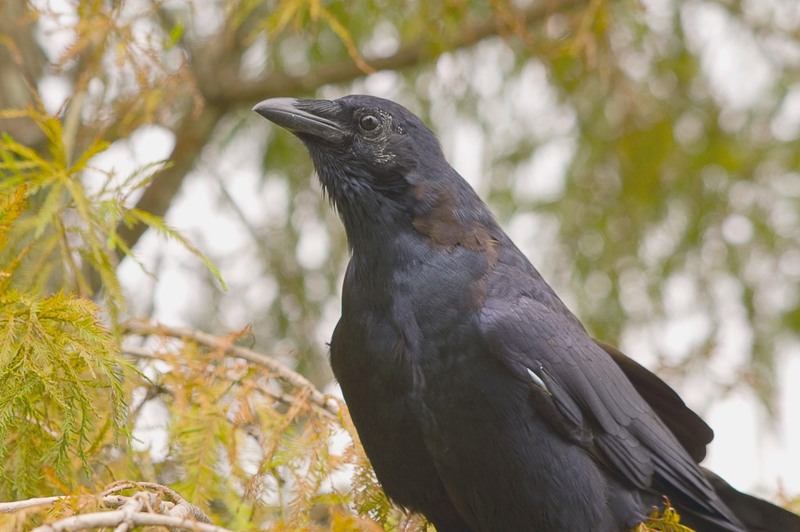 In fact, if you scroll down to the Ravens (after clicking link), you will see the Little Crow, then the Australian Raven, then the Pied Crow, the Brown-necked Raven, and the back to a Somali Crow. Again, don’t let the two translations, raven or crow, be a bother. The only other birds mentioned are the Hawks (CEV, ESV, ISV). They are birds of prey and would “delight in the waste places.” They belong to the Accipitridae – Family (Kites, Hawks & Eagles). Studying the Bible and “birdwatching” through it keeps one on the alert for neat things in His Word. It works both ways; sometimes looking for a bird will turn up great truths about God’s Promises, in this case, a judgment, other times looking for a fact or promise, you find a bird. No matter which way, you are in the Bible studying His Word. This entry was posted in Birds and tagged Bible, Birds, Birdwatching, Christian, Crow, Isaiah 34. Bookmark the permalink.